IWF - Did Voters Understand that San Francisco’s New Homelessness Tax is Not a Good Idea? Did Voters Understand that San Francisco’s New Homelessness Tax is Not a Good Idea? On Tuesday, voters in San Francisco approved a ballot measure that raises taxes on (tech) companies to fight homelessness in the city. The question is whether voters understood that the city is just throwing more money behind questionable programs that lack accountability or results. Proposition C, affectionately called the “Our City, Our Home” initiative, would charge corporations that earn more than $50 million an added tax with the proceeds entirely going toward homeless programs. It would raise an estimated $250 to $300 million annually from over 400 companies -- a big injection of cash particularly from major tech companies located in the city. However, throwing more money at a problem does not guarantee that it will be solved. If the funds aren’t managed wisely and there’s no accountability for how current taxpayer funds are used, then the additional cash becomes a source of waste and abuse. Even worse, it could rigger worse unintended consequences like job losses. The city’s mayor agrees. She opposed the proposition and campaigned against it. There’s no accountability now for how the city is using the $300 million it already spends on homelessness. There have been no discernible results for the programs already in place. The proposition will hurt the local economy as companies choose to move their headquarters elsewhere. The mayor cited the City Economist’s report that estimated a GDP loss of $240 million loss every year for the next twenty years if the Proposition goes into effect. Nearly 900 job losses are predicted if companies relocate. A good question is whether voters considered all of this when they approved the measure 60-to-40 this week. Pre-election polling indicated that they didn’t know the costs, because support dropped significantly when they learned just what would be at risk. They may soon find out though. Homelessness is one of San Francisco’s biggest problems. In 2016, the city was ranked number 6 in the nation for homelessness among big cities, following New York City, Los Angeles, Seattle, Washington, D.C., and San Diego. 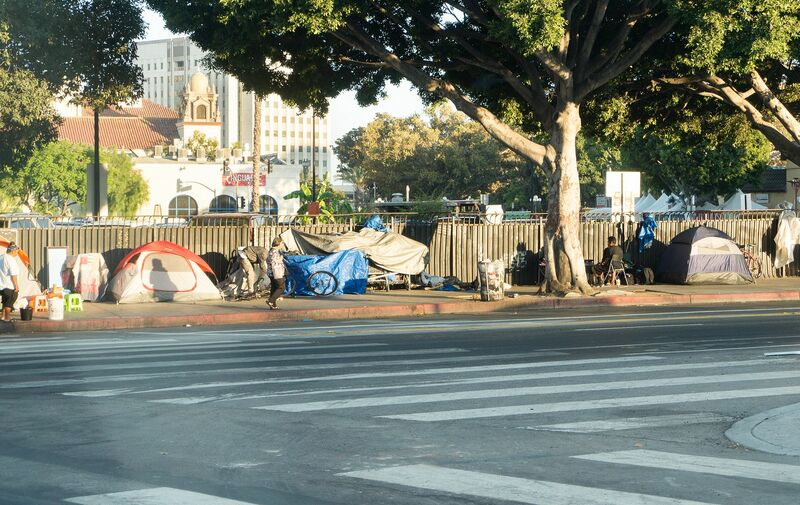 The problem is not just tent cities and people sleeping on streets, but sanitation, public health, and public safety. Rampant drug use and public defecation have left city streets littered with used needles and human feces. These problems are growing into a threat for tourism. A major medical professional conference opted to take its future convenings elsewhere out of safety concerns. Critics blame the growing wealth disparity driven by Silicon Valley for raising housing prices and rents. That is why these companies were targeted with a new redistributive tax. Many of those companies including Lyft and Square (founded by Twitter founder Jack Dorsey) opposed the ballot initiative for the reasons the mayor outlined. Salesforce, however, poured millions into supporting the ballot initiative. Although Prop C passed, legal challenges could tie up the funds collected for years to come. Hopefully, by that time the city will have figured out a better solution that won’t drive away needed business and jobs away.